"My soul. Cut from such shoddy goods. Faded and patched and shabby." There's a lot of talk about "noir" these days -- Nordic noir, Tartan noir, you-name it noir, which personally I don't always agree with. 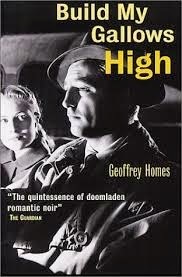 For me, there's only one noir, and Build My Gallows High is a perfect example of the genre. Geoffrey Homes is the pseudonym used by Daniel Mainwaring, who, aside from his novel-writing talent also enjoyed a productive career as a screenwriter. 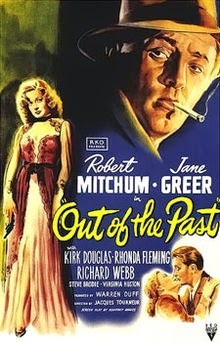 In fact, he wrote the screenplay for the 1947 film version of this novel called "Out of the Past," which starred Robert Mitchum, Kirk Douglas, Jane Greer, and Rhonda Fleming. The book is chock full of betrayals, double crosses and murder making for a hell of a good straight crime read, but it can certainly also stand on its literary merits. PI Peter "Red" Markham and his partner Jack Fisher have taken on their last case together. They are called to the home of Whit Sterling, who hired them to find his missing girl, Mumsie McGonigle and the fifty-six thousand dollars she ran away with. The case takes Markham to Mexico, where he locates Mumsie who swears she never took the cash -- only enough to get by on. Unfortunately, as it turns out, Red falls hard for Mumsie. He still has to report to Sterling, though, so the two of them return to California, where Markham gives his client the news that he couldn't find her. When he thinks he's in the clear, the two of them move to a little cabin up near Lake Tahoe, planning to stay there "until the snow flies," then move on to Reno so that Red can open an office there. As plans go it's a good one, but that particular future just isn't in the cards. Flash forward ten years into the future and Red Markham has become Red Bailey. He's left the PI business behind for a gas station that he owns in little Bridgeport, California, and has an entirely new life. He spends his time off fishing, and has fallen for a much-younger little blonde named Ann. But underneath his quiet life in this quiet town, Red is just biding his time waiting for his past to catch up with him, which it does in the form of a summons to Reno. From there, Bailey is sent to New York to do a job, and he has no choice but to comply. It's only after he gets there that he realizes that he's been duped -- and that there may be no way out. Past the initial setup, Build My Gallows High is the story of how Red tries to find a way out the trap that has been very carefully set for him. From the present it moves in and out of the past, making its way back to Red's current situation as he tries to take control of things and clear himself. It's extremely well crafted -- double crosses and betrayals abound as the figurative noose around Bailey's neck gets tighter with each turn of events. 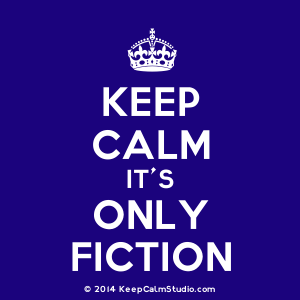 If the novel rested entirely on its plot, it would be a very good read, but there's much more to it than simply story. For example, there is such a keen sense of place here as the author moves back and forth contrasting hard, edgy New York -- its streets filled with young hooligans, cabbies who ply their trade and know when to keep their mouths shut, crooked cops, gangsters and corrupt women who have no qualms about killing -- with the natural beauty of small Bridgeport, with its flowing streams, quiet fishing spots, tree-lined mountains and people living a good life. What I find the most interesting about this book, though, is not so much the action, but rather the focus on the characters. Without the time or space to go into them all, the standouts begin with Bailey, who's just been waiting for the day the past comes knocking on his door to reclaim him and who knows that the decisions he's made in the past will circle back to haunt him some day. He is the poster boy for "if only," thinking about how to get out of his present dilemma so that he and Ann might just be free to start the new life both of them really want, but that he's constantly deferring because he lives in this constant state of purgatory. Then there's Caldwell, the local Bridgeport game keeper, who is in love with Ann and has dreams of the two of them together in his cabin in the woods -- he also makes a decision that may come to haunt him as well -- but it's a moral one he feels he must make. Ann is a quiet beauty, blonde, small, willing to please and trying to do what's right by everyone, but there's a very strong-willed woman underneath her quiet veneer. She is contrasted with the two femme fatales of this book -- Mumsie and another woman named Meta Carson (in New York), both seductive and charming, but each as deadly as the other. Build My Gallows High is such a fine example of true noir goodness that it's easy to recommend it to anyone who is into the genre but hasn't had the good fortune of reading this book yet. The only flaw I could discern is the tedious, often repetitive conversations among the same gangsters over and over again, but aside from that, it's close to perfect. It is as dark as dark can be, and reveals that present and future are both inextricably bound by the choices we make. The more I stop and think about it, the more it grows on me, and the more in love with this book I become.